The primary job function of a healthcare administrator is to oversee the business operations of a hospital or other healthcare facility. With the rapid growth of the healthcare sector, there is an increasing demand for qualified professionals in the field. According to the Bureau of Labor Statistics (BLS), the demand for healthcare admins is growing faster than the national average for other professions. By 2020, the field is expected to grow by 22%, which will add a total of 30,000 new jobs. Currently, first-year healthcare admins make an average annual salary of $65,000.00, which is nothing to sneeze at. At the other end of the spectrum, senior healthcare executives with 15 to 20 years of experience in their field are earning annual salaries in the low to mid 200,00s. Not all careers offer a fulfilling and rewarding career, but working as a healthcare administrator does. They create a positive impact by devising policies that ensure their organization operates with its patients’ best interests in mind. 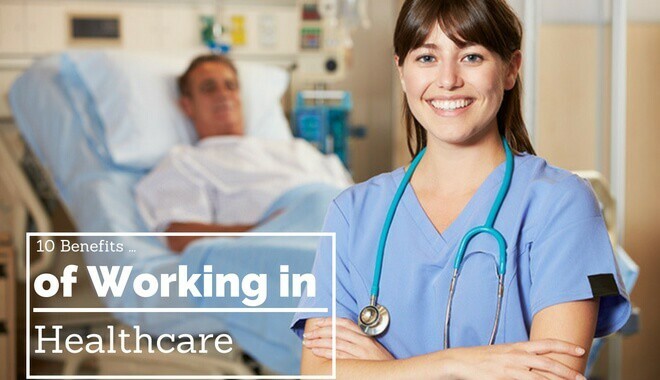 Many people mistakenly believe that healthcare admins work only in hospitals, but in reality, they can work in a variety of different settings, including doctor’s offices, nonprofit organizations, pharmaceutical companies, health insurance companies, long-term care facilities, and public health institutions, amongst many other options. Healthcare admins aren’t restricted to solely working for a healthcare organization. Many admins choose, later in their careers, to go to work for government agencies or go to work for themselves as management consultants. There are very few things one cannot do in this profession. Healthcare execs have the opportunity to make a real impact on patients’ quality of life. Through the actions they take to improve ongoing practices, administrators have the opportunity to create lasting change. CNN’s Money Rankings give the healthcare administration profession a grade of “A” in terms of job satisfaction, security, growth, and the benefits the role offers to society. In the United States, approximately 70% of healthcare administrators are women; although, the number of males in the profession is rising. Because it is a female-dominated profession, it tends to be conducive towards having a work/life balance – something that is important to many women. Individuals who thrive off of learning new things will enjoy working in healthcare administration. Most new staff members begin working in the field with only a bachelor’s degree; however, those who want to move into the ranks of management will need to earn a master’s degree or Ph.D. Moreover, due to the rapidly evolving nature of the healthcare industry, there are always new technologies and knowledge bases that must be mastered. Those who work in healthcare management are working to improve their community. One of the primary roles of a healthcare manager is to devise new, more efficient health systems, which, in turn, improve the quality of patient care. Just a handful of the changes that have recently been brought about by the working of healthcare administrators includes providing healthcare coverage for the poor, increasing the amount of preventative care provided to at risk communities, and assisting with the implementation of the U.S. healthcare overhaul. The benefits offered by a career in healthcare management start with a strong job outlook, high salaries, and multiple opportunities for advancement; however, the benefits do not end here. Healthcare administrators report some of the highest levels of job satisfaction across all industries, and they derive personal satisfaction that accompanies making a significant difference in the lives of their patients. With the diverse range of opportunities available to them, healthcare admins can enjoy a stable, rewarding career that boasts plenty of room for growth.